Not of it. 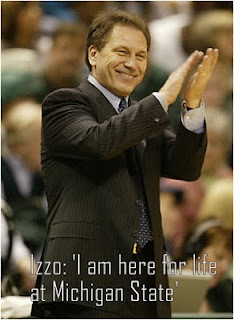 : Izzo a Spartan for life... Thank goodness! Izzo a Spartan for life... Thank goodness! Good news for MSU fans... This is a lame first entry, given I have not made an update in a month or so. There will be more entries coming soon. I am going to try to keep this up more regularly from now on.